E.O.S by Botanic Springs is a revolutionary new counter-top device that allows you to make your own Essential Oils AND Hydrosols, at home, in less than 10 minutes. It is the first and only device of its kind. Pure, Fresh, and Ready For Use. As previously mentioned in an earlier posting, Essential oils should be diluted before applying topically to the skin, and it makes sense that since there are a wide variety of choices available, the carrier oil you choose will ultimately depend on what your purpose is, and the skin type you have or are working with for a client. 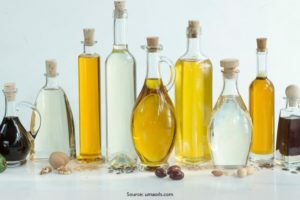 In my many years of experience with Aromatherapy, I have found it is really fun to experiment with many different carrier oils, as each has its own benefits and specific qualities. You may have a strong resonance with a carrier oil that you would have never known about! Below are just some of the Aromatherapy carrier oils you can choose from: Sweet Almond, Apricot Kernel, Avocado, Calendula, Carrot Tissue, Cocoa Butter, Coconut, Evening Primrose, Grapeseed, Jojoba, Macadamia Nut, Neem, Olive, Rose Hip, Safflower, Sesame, and Soybean. Sweet Almond oil is obtained from the nut of the almond tree and is native to Asia and the Mediterranean areas. It is a popular carrier oil for essential oil aromatherapy blends, due to its blending well with other oils and rapid skin penetration. It is wonderful for the skin and can even be used by itself for nourishing of all skin types. Sweet Almond oil is high in fatty acids, making it an ideal oil for damaged skin, and for mature skin. Apricot carrier oil is also wonderful for the skin, especially for those with sensitive, dry or mature skin. It helps calm the inflammation and irritation of eczema and dermatitis. It also combines well with an equal amount of St. John’s Wort Oil (Hypericum) for enhanced anti-inflammatory and cooling effects. 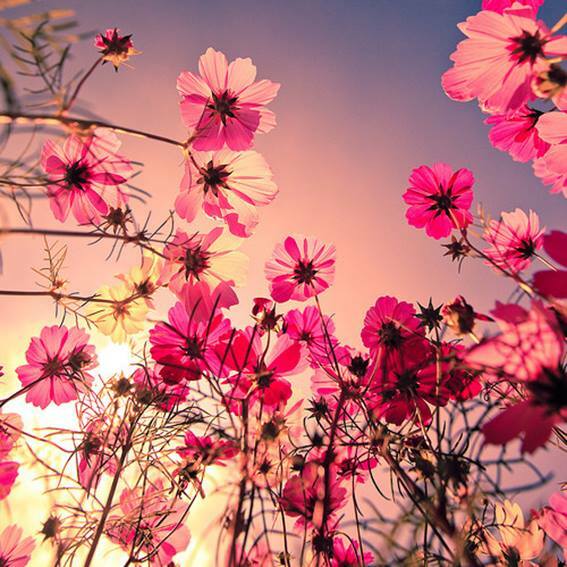 For mature skin, an addition of 5% Borage Seed oil is recommended. Avocado oil is added to carrier oils, up to 20%, as an aid to skin moisturizing. Avocado oil is excellent for treating dry skin, sun-damaged skin, and wrinkles, as it delivers superior moisturizing and nourishing elements. Avocado oil can also help with the itchiness and dryness of psoriasis and eczema. Avocado oil is rich and penetrates the skin deeply, providing essential fatty acids, vitamins A, D and E, and proteins. It should not be kept in the refrigerator, as it becomes slightly cloudy when cold. The color is a deep green (unrefined), and unlike many other carrier oils, has a characteristic aroma. Please note that avocado is not a nut oil. This infused oil has an anti-inflammatory, anti-spasmodic and vulnerary (aiding healing of wounds) properties. Calendula oil is good for skin infections, wounds, rashes, bites and inflammations. Also used for other inflammations, e.g. hemorrhoids and rheumatism. Recommended for mixed and oily skins, it is somewhat cooling and slightly drying. Calendula oil is also excellent for use in the healing of scars and for eczema. It is rich in carotene and saponins, and is excellent for damaged skin. Calendula is very gentle and healing that it’s appropriate for babies, especially for helping to heal diaper rash. Carrot carrier oil is orange in color, as you might imagine and rich in minerals, vitamins, essential fatty acids and beta-carotene. It is a superior oil for mature skin, helping to rejuvenate and replenish. As it also relieves itching, carrot oil can be used for psoriasis and eczema, and is said to be helpful with scar healing and burns. Use in a 10% dilution with other base oils. Please note: This is different from Carrot Seed oil, which is an Essential oil. This solid butter is pressed from the roasted seeds of the Cacao tree (Theobroma nucifera) and yields a cream colored solid with a delightful odor. Softens at body temperature and adds a rich, creamy consistency to lotions, soaps and creams. Cocoa butter is a superb moisturizer, helping to reduce skin dryness and improve skin elasticity. Fractionated Coconut Oil is a highly stable, odorless and colorless oil that is light, very penetrating, and with a long, almost indefinite shelf life. It is a wonderful carrier oil to use in blending of oils and feels wonderful on the skin, absorbing quickly without a greasy feel. My go to carrier oil. Pale yellow in color, Evening Primrose carrier oil is rich in GLA, vitamins and minerals. Evening Primrose oil is excellent for face and body massage blends, especially to combat dry, devitalized skin and for eczema. Keep this carrier oil refrigerated. Grapeseed carrier oil is an excellent choice as a carrier oil, especially for those whose skin does not seem to absorb other oils quickly. Grapeseed oil is thinner than Sweet Almond oil and absorbs more quickly into the skin without feeling greasy. Grapeseed carrier oil varies in color from almost clear to a beautiful pale green. Hazelnut oil is particularly good to use for oily skin as it helps to regulate sebum, the natural oily secretion of the skin. It is rich in oleic and linoleic acid. Very good for treatment of acne, dermatitis and seborrheic eczema. Hazelnut oil can be used 100% as a base oil. Jojoba is quite interesting, and actually not an oil at all, but a liquid wax, and can be used as a 10% addition to other oils. It’s wonderfully conditioning for the skin, scalp, hair and cuticles. This excellent oil is lightly expeller pressed from seeds and has a lovely golden color. Jojoba is high in proteins, minerals and is unique in its long shelf life. A very useful oil for inflamed skin, psoriasis, eczema, and acne. Excellent for all skin types, is extremely well-absorbed into the skin and does not seem to clog pores. This carrier oil closely resembles sebum, the natural oil your skin produces. It is very rich, absorbs well, and helps protect and heal the skin. Macadamia nut oil is useful for sunburns, dry skin, mature skin, and scar healing. This lovely oil has a light nutty aroma. Neem is a rather amazing oil, not as recognized as it should be considering its usefulness. With excellent moisturizing qualities, it is becoming increasingly popular in many body, hair care and pet products. Neem oil contains compounds that have both insecticidal, antiseptic and medicinal properties. It is a dark, rather sludgy green in color and has a strong, and not terribly pleasant aroma. Being both high in Vitamin E and fatty acids, Neem oil is said to be useful for treating a variety of skin problems such as eczema, psoriasis, acne and dry skin. In addition, Neem oil has a long history of use as an insect repellent and is increasingly being used to control plant pests and diseases. Neem oil has been studied and shown to be effective against mosquitos, flies, sand fleas, ticks and more. For external use only. Note that Neem oil is thick, and can solidify at low temperatures. If that happens, place container of oil in warm (not hot) water and heat gently. 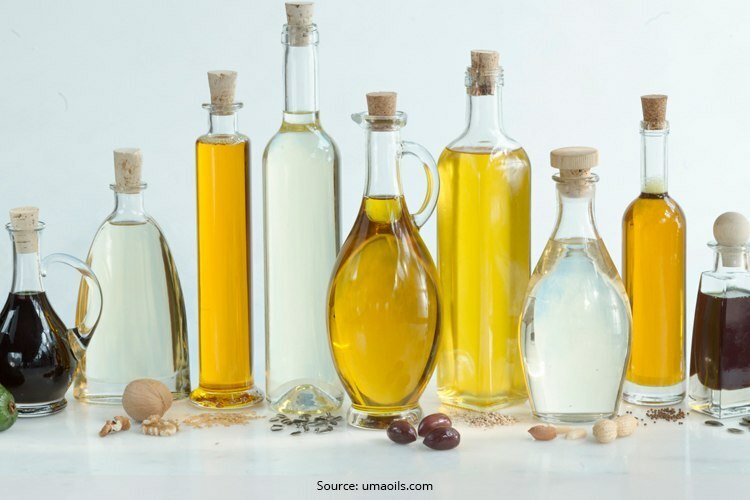 Olive Oil is high in protein, minerals and vitamin, and is useful for hair care, cosmetic use, and for inflamed skin. Use in a 10% dilution with other base oils. It has a beautiful light green/golden color with a rich, warm aroma. A must-have for all mature skin remedies, Rose Hip seed oil is extremely high in omega-3 and omega-6 fatty acids, gamma linoleic acid (GLA) and vitamin C. Research done in Chile bears out its tissue regenerating properties and its usefulness in treating scars, burns, and dry and aging skin. Rosehip seed oil has superior moisturizing qualities and is said to be helpful with dermatitis, eczema and psoriasis. A carrier oil that is particularly good for sensitive skin. Safflower oil is nearly clear, does not have a greasy feeling, and it absorbs well into the skin. This is the perfect oil for babies’ sensitive skin and much better for them than that so called `Baby Oil’ a.k.a. mineral oil. This carrier oil is excellent as an all over body moisturiser, sesame is light, odour free and spreads easily over the skin without a greasy feeling. Sesame has a natural SPF of 4. Sesame is suitable for all skin types and works well in body-care products and massage oil, where the lightweight oil easily spreads across the skin, forming a light barrier which locks in moisture without giving a greasy feeling to the skin. This carrier oil can be used undiluted on all skin types. Rich in lecithin and has all 22 health-giving amino acids and vitamin A and B complex. Please Note: These characteristics and properties have been reported for these specific carrier oils. This information is not intended as medical advice. Persons with medical conditions should see an appropriate health care provider for treatment and recommendations. Always use caution when using all nut oils as some people have allergies to them, so make sure that is not an issue before you use on a client or yourself. Last post we spoke about the Introduction to Essential Oil and the benefits of Inhalation. How it works? Place 2-3 drops of essential oil on a tissue or cotton ball and keep it near you, inhaling as often as you like. Will last several hours, simple and accessible to all. Always one of my favorite options! Recipes coming soon for Room Sprays and Essential oil blends. Handy in the car on warm days, remember the sun is your friend. For example Terracotta Pendants are great. There are also other types of necklaces that have a container to hold a small amount of Essential oil so you have it handy around your neck. Good for traveling. They are awesome and I recommend getting the best quality diffuser that you can afford for diffusing your Essential oils. It is money well spent, will waste little to none of the oils and will work well for a long time if you clean and take care of them. They work well in the nighttime with powerful respiratory essential oils for cold, flu, asthma, bronchitis, etc..
One of the big differences between Topical application of Essential oils and Inhalation is that for Topical use you must always dilute the Essential oils with carrier oils, lotions, or butters before applying directly on the skin. Since Essential oils are so potent and concentrated, this is very important! Some Essential oils are known to be gentler than others, like Lavender for instance. Personally, I would still dilute pure Lavender Essential oil with fractionated coconut oil (for example) before ever using it on my body. 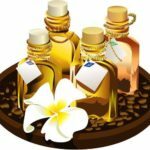 Topical application of Essential oils has many benefits: for painful areas in the body, tension, wounds and injuries, for taking care and deeply nourishing the body and more. With butters, lotions and scrubs using Essential oils and other natural, organic ingredients, they will not only make your skin feel incredible, but can assist in the treatment of many skin conditions. I will be offering up lots of yummy recipes for essential oil blends, room sprays, body scrubs, bath salts, facials, bug sprays and more… so stay tuned! 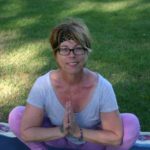 I am Linda Ananda, known as the “Energetic Alchemist” to my friends and clients since beginning my journey with Essential Oils and Aromatherapy back in 2001. What are Essential Oils? Essential Oils are highly concentrated aromatic compounds, normally steam distilled from various plant material, such as stems, bark, leaves, flowers, roots and other parts of the plant. Each Oil has the characteristic fragrance of the plant material from which it is derived, as well as a unique chemical profile. It needs to be noted that both the aroma and chemical profile vary greatly from crop to crop, as weather and many other environmental conditions change from season to season. With that being said, we need to understand fully, what both inhalation and topical application of Essential Oils entails and how best to utilize every powerful drop of our Essential Oils. So let’s start first with this very clear definition above of what Aromatherapy is and learn about each component. Inhalation is the most beneficial method for most respiratory conditions, and for purification and cleansing of the air in general. One of the best ways to utilize the excellent and immediate benefits of the inhalation of Essential Oils is with Diffusion, which not only immediately improves the energy in a room, it improves the mood of the people, animals and plants. It does so according to the attributes and qualities of the Essential Oil, or blend of Oils, that you are diffusing. This has huge implications and limitless opportunities for Essential Oils to be used to sharpen focus when needed, relax deeply, get creative, go to sleep, etc. Not to mention the deeper physical healing aspects. One of the many uses of Aromatherapy is to strengthen and enhance the body’s own self-healing process and the indirect but very real, stimulation of the immune system. 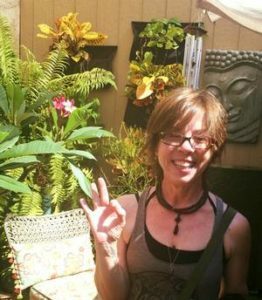 Follow to learn more about Aromatherapy with Linda! In the next posts she’ll expand upon methods of Inhalation and the Topical application of Essential Oils. How do you see yourself using the E.O.S.? We love hearing from you, so please let us know how you see yourself using the E.O.S. by following us on social media and sharing your ideas. We are eagerly waiting to hear from you!